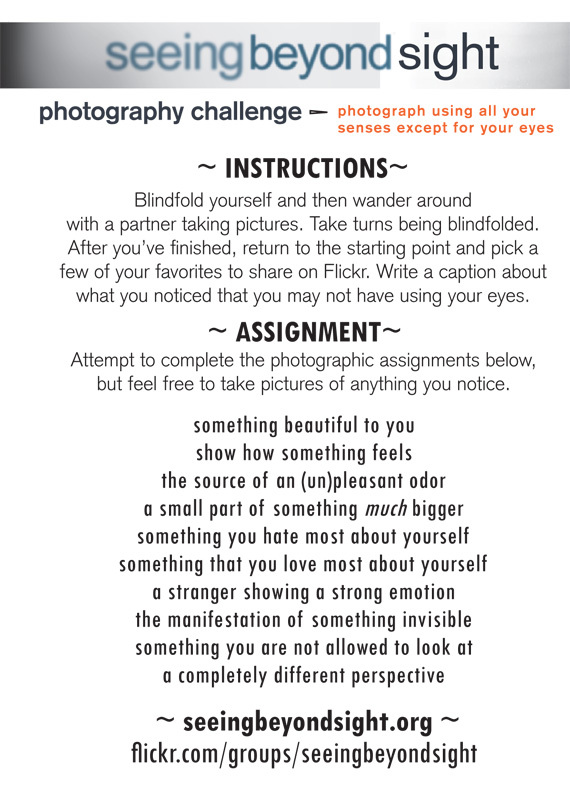 Blindfold yourself and then wander around with a partner taking pictures. Take turns being blindfolded. After you’ve finished, return to the starting point and pick a few of your favorites to share on Flickr. Write a caption about what you noticed that you may not have using your eyes. Attempt to complete the photographic assignments below, but feel free to take pictures of anything you notice.